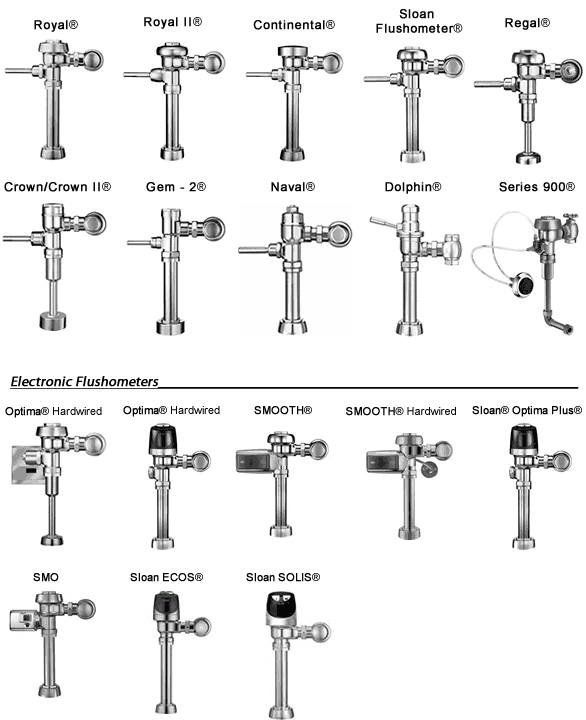 Identify your Sloan Flush valve and easily find genuine replacement parts. We carry every available Sloan part for manual and electronic flushometers. Back to Sloan Valve main page.